Comic Cover Corner puts the spotlight on a remarkable comic cover and the artist responsible for creating it. A cover I came across recently that blew me away is Old Man Logan #31, which was drawn by Mukesh Singh. The cover features an elderly Wolverine reuniting with one of the great loves of his life, Mariko Yashida. Not only is the art stunning, but the cover itself tells an emotional story through body language and colour. As a fan of Wolverine and Japanese culture, I think the cover does a brilliant job of capturing the soul of the character and his connection to the Land of the Rising Sun. Comic Cover Corner is a segment that looks at a specific comic cover and examines why it’s so memorable. Today, I’m focusing on the cover of Red Hood: The Lost Days #1, drawn by William Tucci. 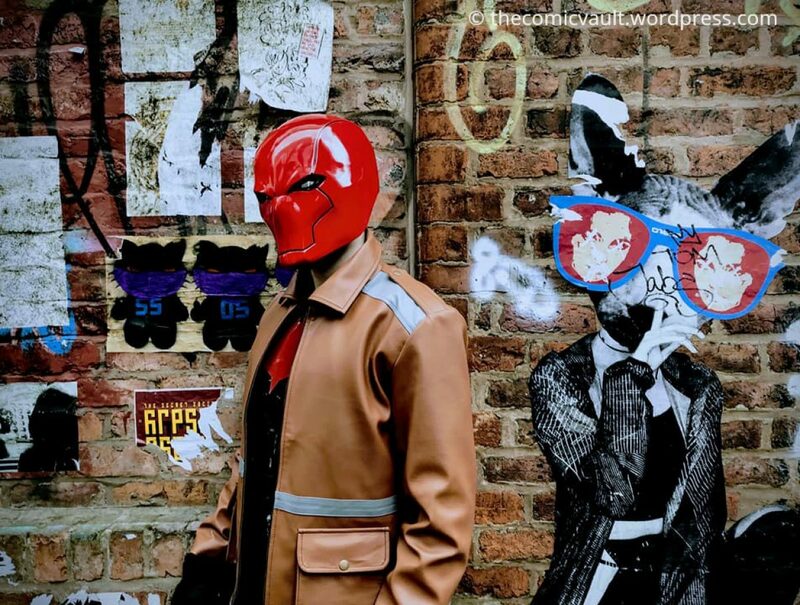 The comic itself tells the story of how Jason Todd came back to life and started his journey to becoming the Red Hood. There’s a lot to love about this cover, from the colours to the raw emotion displayed by the character. In this edition of Comic Cover Corner, I’m looking at the cover for Namor: The First Mutant #3, drawn by Jae Lee. The short-lived series focused on The Sub-Mariner’s mutant heritage and his time working with the X-Men. Lee came up with a gorgeous cover that shows off the regal nature of the character. Comic Cover Corner features comic covers that stand out for the story they tell, or because they are gorgeous pieces of art. A big DC event on the horizon is Dark Nights: Metal, which involves seven evil versions of Batman from the multiverse coming to terrorise the main DC universe. Each Batman is a twisted version of a Justice League member and DC have unveiled the cover for Batman: The Red Death #1. Drawn by Jason Fabok and coloured by Dean White, the cover is one of the best to come out in recent memory. Here’s what makes it worth appreciating. Comic Cover Corner is dedicated to showcasing some of the most interesting comic covers in the industry. In my opinion, they are pieces of art that could be as memorable as famous paintings one day. When a female character is put on a cover, there’s a temptation to focus on her looks. That isn’t the case with the cover of Storm #5, as she comes across as an absolute badass. This is thanks to the effort of cover artist, Stephanie Hans.